Susanna Truitt (Once Upon a Prince) is three weeks from royalty. She ll soon marry King Nathaniel II of Brighton Kingdom. But when the government insists she renounce her American citizenship before the wedding, coupled with the lack of involvement by family and friends, Susanna s heart begins to doubt whether this marriage is God's plan for her. Ellie Martin, a country girl living in Atlanta, has dreamed of a traditional wedding all her life, but she's missing a key ingredient to her plans for the future: a groom. Then Ellie meets Gray Whitby at a wedding of all places. But when Ellie jeopardizes her own future for the sake of her sister, Gray feels like he'll always be second to Ellie's family. Can Ellie and Gray find their own way together amidst the demands and perceptions of others, or will their romance end before it has truly begun?" These may seem familiar to you. That's because I reviewed these individually at this time last year! 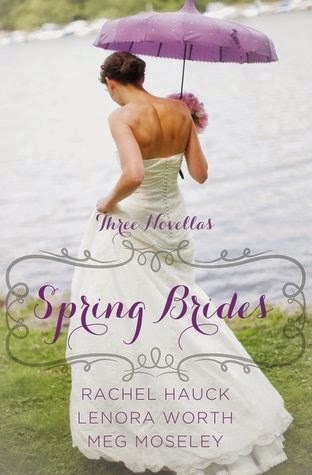 That's right, last year's year of wedding novellas have now been bundled up into four books! I don't have much to tell you that I didn't tell you last year except that even now, rereading them was a total joy and a great way to spend my time while recovering from a spring cold. I love that these are bundled up so those of us who read the digital editions can get the print editions for our shelves and all of the novellas will be right there at our fingertips!